Transport Models - Cleveland county Bedford miles ET. Cleveland county Bedford miles ET. 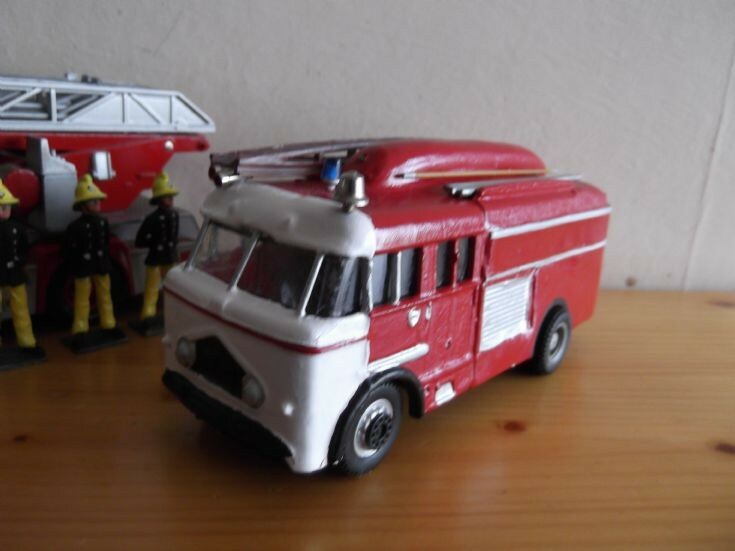 Here I have in my collection is a Cleveland county Bedford miles ET reg LEF927 .This model was a dinky model. All alterations were done by me. Still not finished yet got to put the reg on the front and rear, And put a rear door on. The rear end and the roof cone is made up from pine wood. This photo was taken on the first week in Feb 2012.